It’s been a bit of a quiet Autumn for me so far, with not much planned until our Scotland trip in a couple of weeks. It’s even featured a weekend spent at work which is most unusual for me. 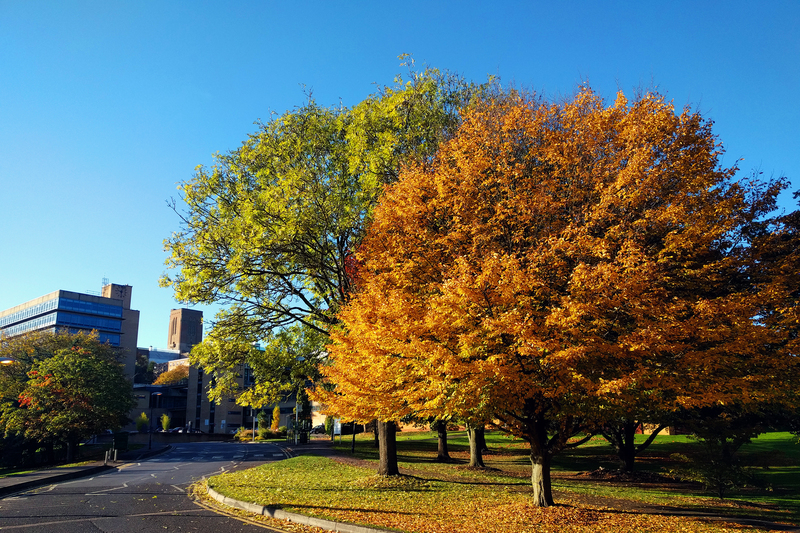 Other than being so very cold, campus was a dream with no one about and an entirely silent office – it’s almost worth considering trying to do all my hours solely on weekends. With my weekend taken up by testing, I took Friday afternoon off to do a bit of dress shopping for an upcoming wedding. Didn’t actually find a dress, but I did buy some dream shoes from the Irregular Choice store in Carnaby Street. LOOK AT THEM! They’re so glittery! They are the Irregular choice Kanjanka shoes and I love them so much. Even the soles – LOBSTERS!! Now I just need to find a not-black, wedding appropriate dress to match. I’ve been spending most nights on Google Flights planning for my next trip to America. Not a holiday, but for a conference. I was incredibly excited to find out I’d won a bursary from a professional group I’m a member of, so I’m off to Tampa in February – I’m going to be able to geek out in a work capacity for four days on the beach! I say that this isn’t for a holiday, but I am planning on going home via New York. I’m a bit sad that Husband won’t be able to join me, but also secretly thrilled that I’ll have my first solo trip. I used to spend all day on my own in Copenhagen with Husband at work, but we’d always go out together in the evening. New York will be just me all day and I cannot wait – no whinging outside Sephora! I’m currently deciding on a hotel – I want to be more towards lower Manhattan than we we’ve been before, so I’ve bookmarked a bunch of places and I might need to do a bit of spreadsheeting before I finally decide. The only thing I’m a little nervous of is solo dining but I’ll take my Kindle with me and see how I go. Also, it’s going to be flipping freezing so that’s something to look forward to! I’ll be under a blanket.